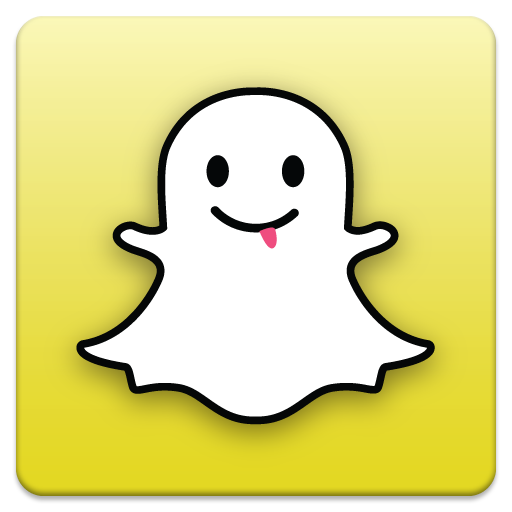 Snapchat, an impermanent photo messaging application, soft launched a version for Android today. Co-founder Evan Spiegel tells me users have shared over 1 billion photos (“snaps”) on the iOS application. Spiegel says users share over 20 million snaps every day, a figure he says keeps growing. The application is currently currently #19 on the free apps charts and third overall, behind YouTube and Instagram, in the free photography apps charts. In May, I wrote about how Snapchat processed about 25 images a second, comparing it to when Instagram was processing 25 photos per second with a user base of 10 million. At its current rate of 20 million images per day, Snapchat is processing over 231 photos shared per second. Instagram launched its Android app on April 3rd, with 30 million users on iOS; in 10 days its user base jumped to 40 million. During that period, Facebook bought Instagram (in case you hadn’t heard). MG Siegler wrote that in a preview for Instagram in 2010, but it could apply more to Snapchat now than Instagram. Instagram is a social network: you post your content to a select circle of followers, communicating to a wide audience some of whom choose to communicate back. Snapchat is one-on-one communication, more personal than texting or emailing as the content disappears. It’s the closest technology to a phone conversation or, gasp, real life interaction that I use. Users can send photos and control how long the receiver views the photo (up to 10 seconds) on the app. If you try to take a screenshot of the photo, the app notifies the sender. Snapchat has been associated with sexting since it launched, an image that isn’t helped by some of its risqué marketing materials. I personally doubt how often the app is used for illicit purposes—most users I know send goofy images to each other. “We’re getting closer and closer to our goal of making communication fun again,” Spiegel tells me. The Snapchat team has raised a small bridge funding in addition to the $485,000 seed round we previously reported from Lightspeed Ventures. Spiegel said the funding is an undisclosed amount and came from Lightspeed and an additional undisclosed investor. He adds that he doesn’t have an exact timeline for raising the next round, but is doing his best to meet people and find the right partner. The team will stay in Los Angeles for the “foreseeable future,” as Spiegel says they are “hiring like hell,” bringing on three more engineers before the end of the year. The current team consists of Spiegel, co-founder Bobby Murphy, two engineers and a community manager. Spiegel says scaling is the company’s greatest challenge, as it’s difficult to deliver images in real time; he explains that if an upload fails for social networks, users can just post the photo a bit later. But if a photo fails to send on Snapchat, the conversation dies. As the team worked to build the Android app, they discovered that many Android cameras functioned differently and had black bars at the bottom and top for picture previews. So they spent a month and a half rebuilding the camera function for the Android version to give users a better experience. Spiegel says they are disappointed by the way users have been counted for many apps, declining to disclose user numbers. Spiegel says they are focused on engagement. Snapchat will be releasing an iPhone update sometime before the holidays that Spiegel says will “really expand the service.” He says this is the first wave of the next product iteration, as the team plans to build on top of those changes in early 2013. Speaking about monetization plans and the company’s long term strategy, he explains that the company wants to dominate a mobile space centered on communication. Despite significant interest in the tech community and constant comparisons to Instagram, Spiegel says the Snapchat team has no interest in being acquired. To be fair, I’m sure Kevin Systrom would have sworn up to the second Instagram’s purchase was announced that the company had no interest in being acquired; every entrepreneur sticks to that line, but most have a price. Is there still a market for “the next Instagram” (cue the dry heaving from people sick of this phrase)? I don’t know. Mobile and mobile messaging are enormous markets and there are still a ton of players out there with cash to throw around. It’s easy to write the market off and assume it’s over; if we all did that, we’d be using Myspace and Flickr right now. More intriguing to me is if Spiegel and the Snapchat team would take a huge price tag for their eccentric baby. I think they are just crazy enough to decline a mega offer to keep going on their own.